Nora Razian is an independent curator based in Beirut. 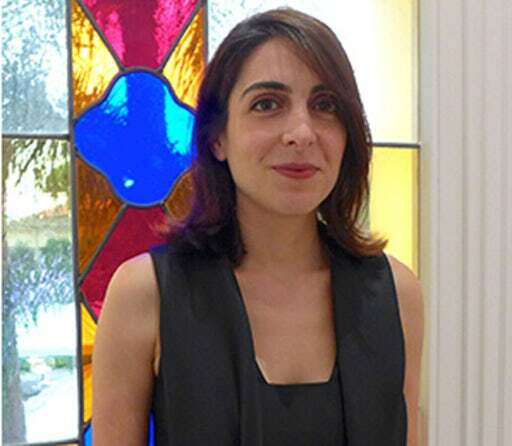 She was Head of Programs and Exhibitions at the Sursock Museum (2015-2017), where she curated the museum’s temporary exhibitions, public programs and film programme. Before joining the Museum in 2015, she was curator of public programmes at Tate Modern and Tate Britain. Currently she is part of the team leading on the opening of the Jameel Arts Centre in Dubai in 2018. She has also taught at Goldsmiths’ College Centre for Arts and Learning. Recent exhibitions include Maha Maamoun: The Law of Existence (2017), Let’s Talk About the Weather: Art and Ecology in a Time of Crisis (2016), and Ali Cherri: A Taxonomy of Fallacies(2016).